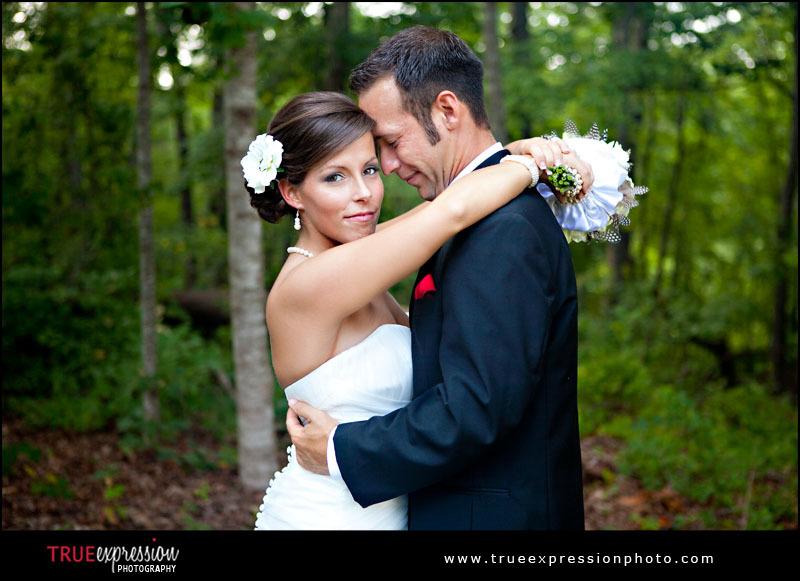 Katie and James are high school sweethearts, and these two are head over heals in love with each other! 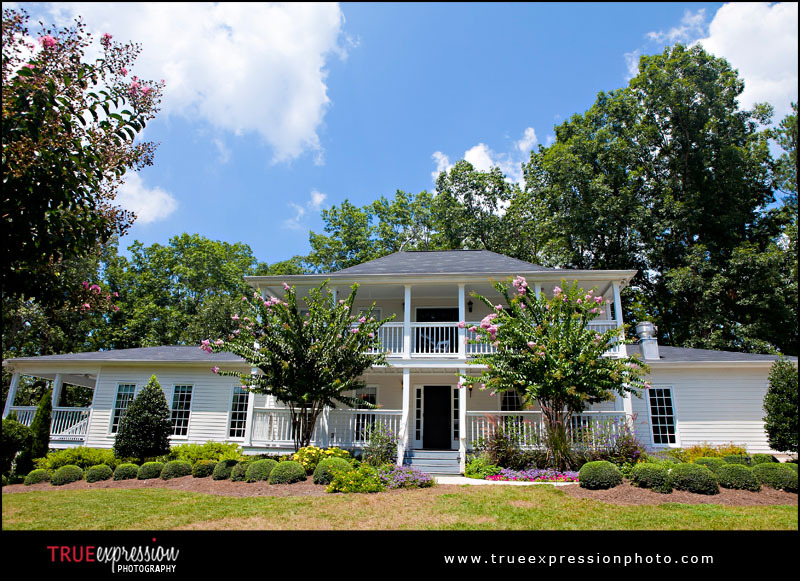 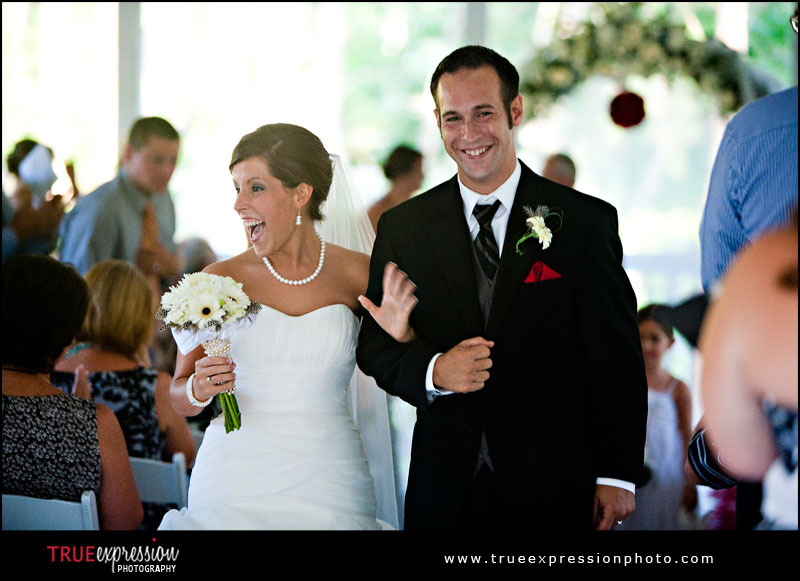 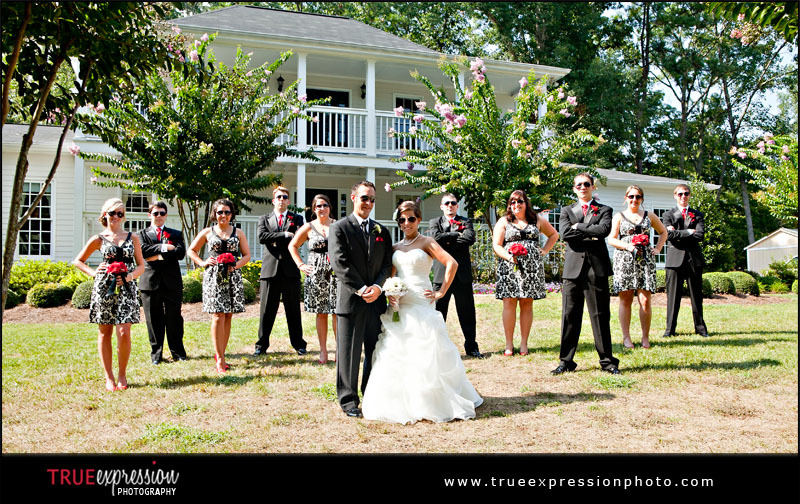 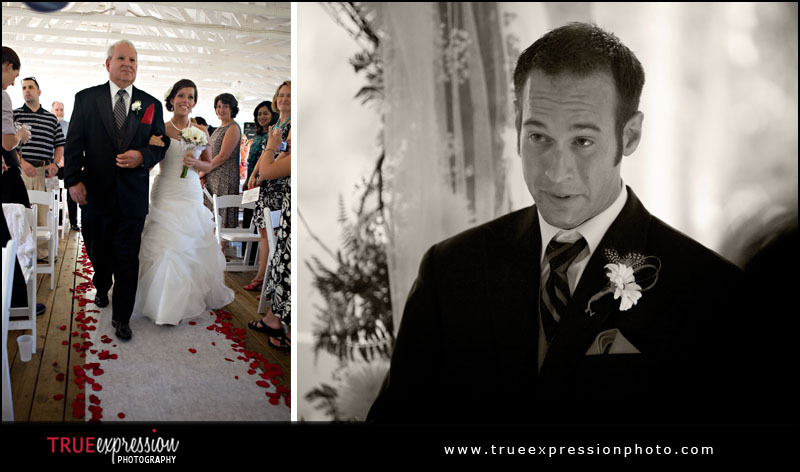 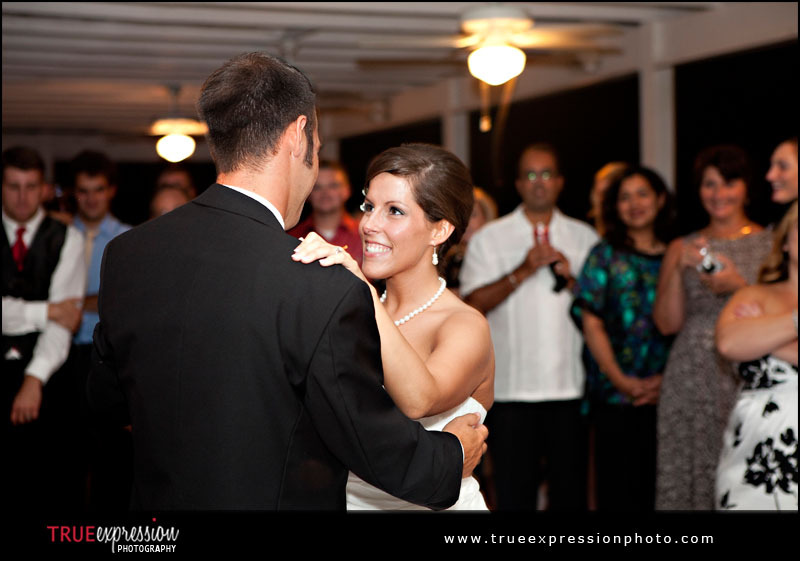 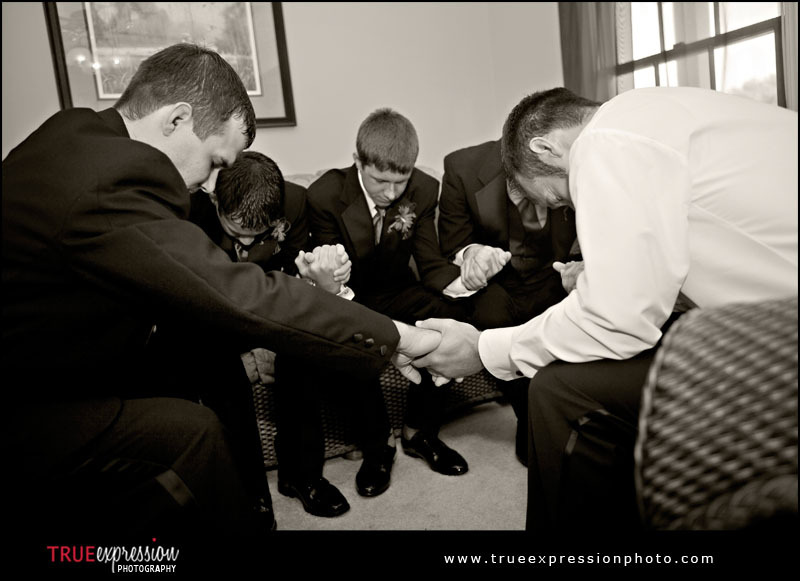 They were married after seven years together on August 7, 2010 at the Bradford House in Flowery Branch, GA. 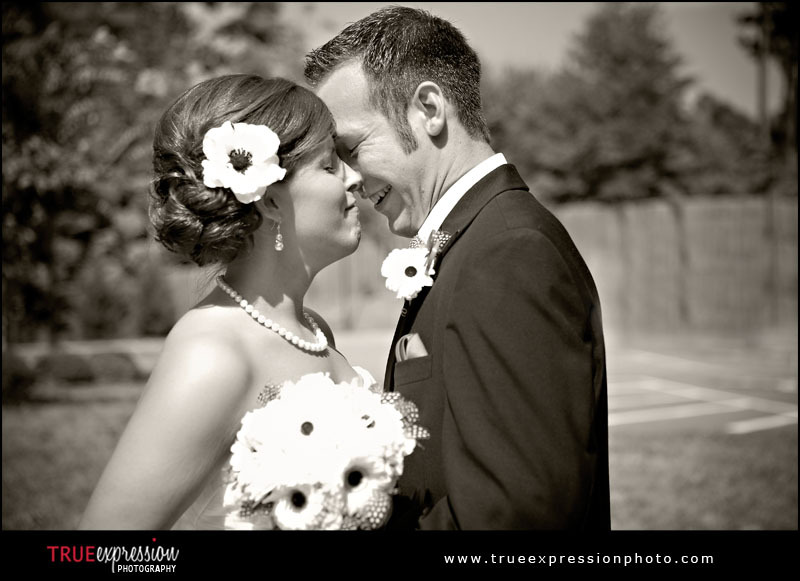 I've been watching their wedding plans come together ever since I shot their engagement photos at their high school last year, and I was so excited when the day was finally here. 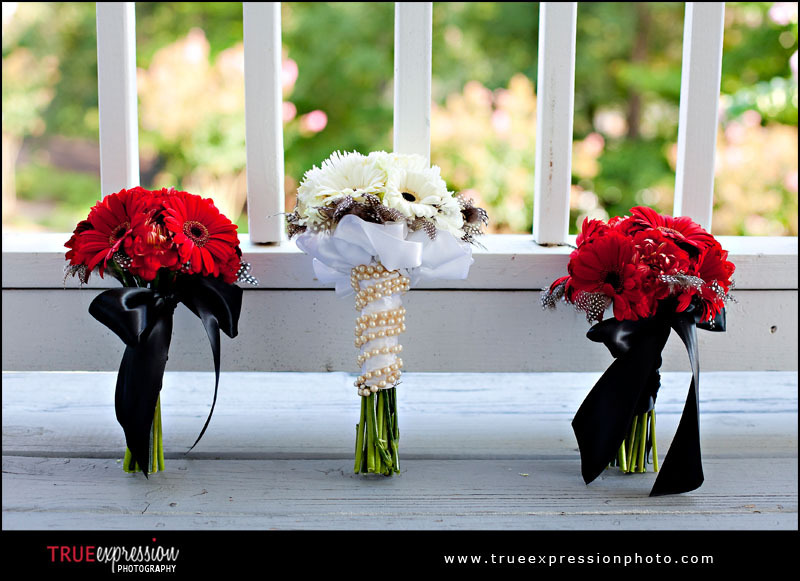 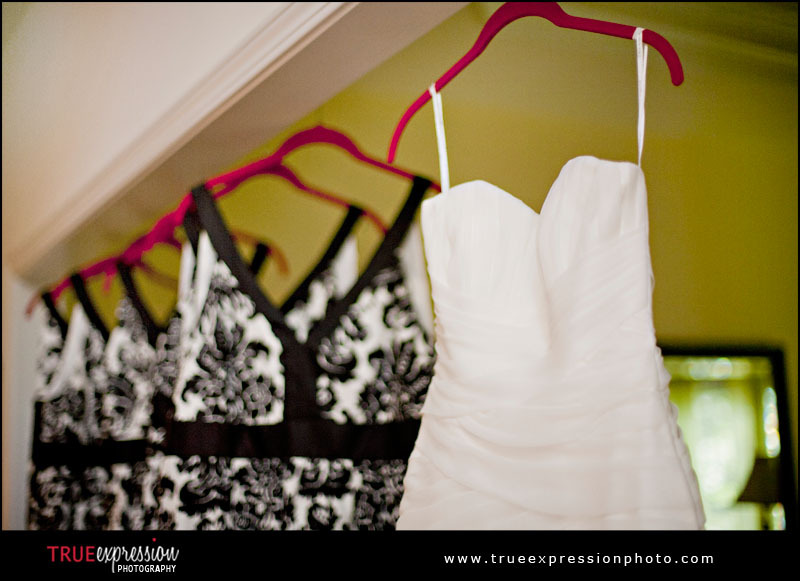 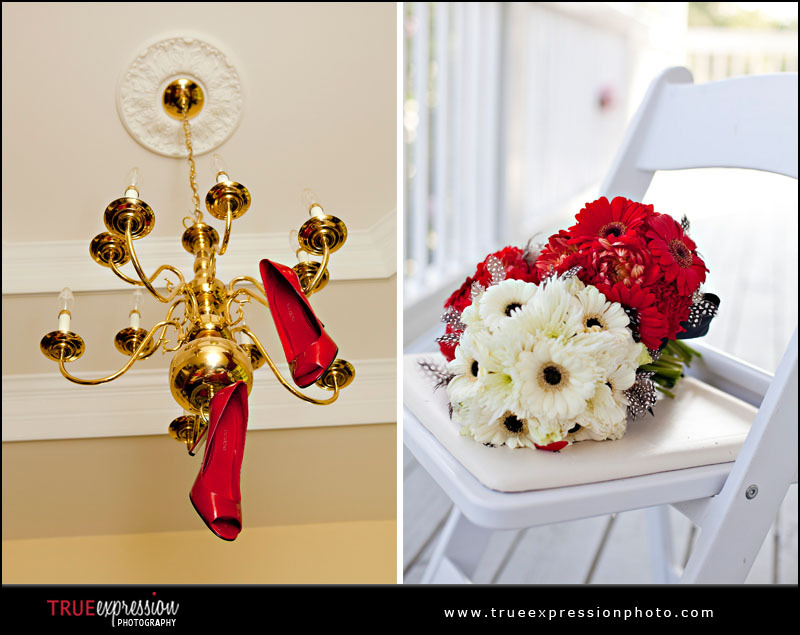 Every detail was carefully coordinated in red, black and white from the flowers right down to the hangers. 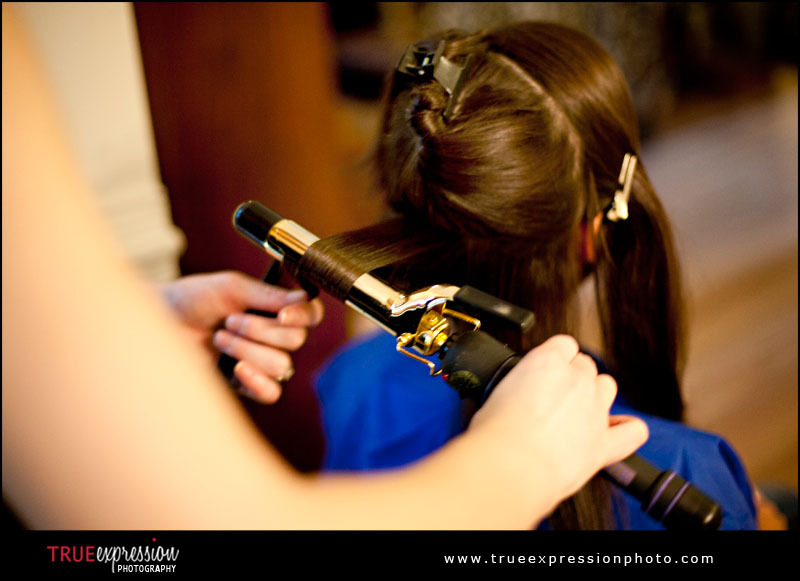 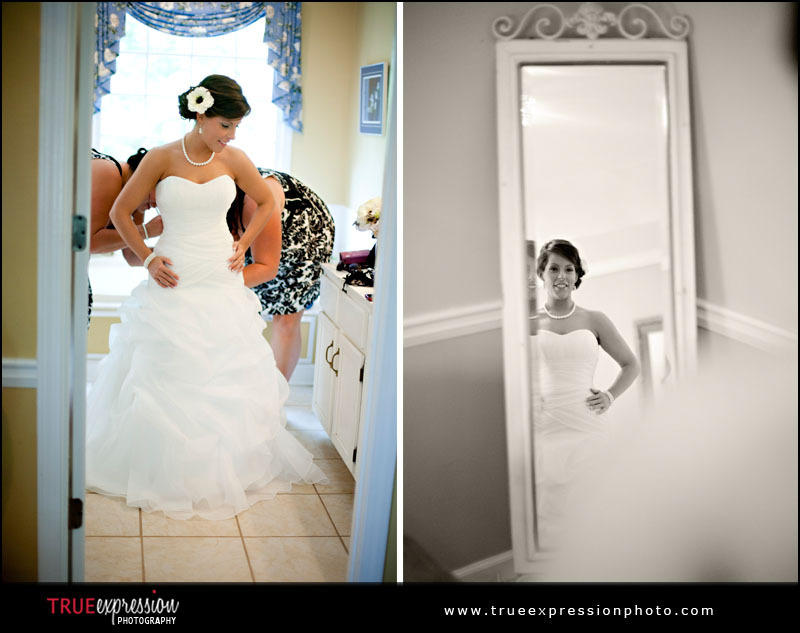 Katie was working right down to the last day getting all the details ready, and everything looked just perfect! 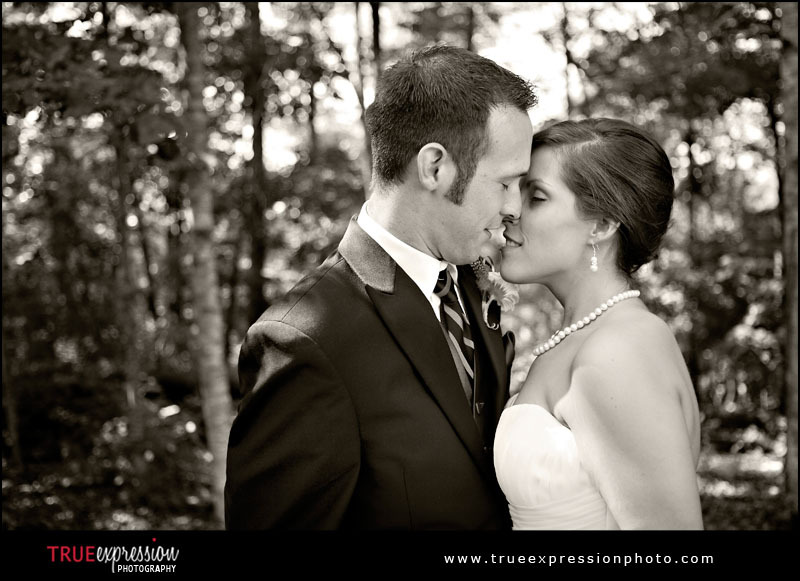 Friends & family of Katie and James, if you would like to be notified when all their wedding photos are online, you can sign up here. 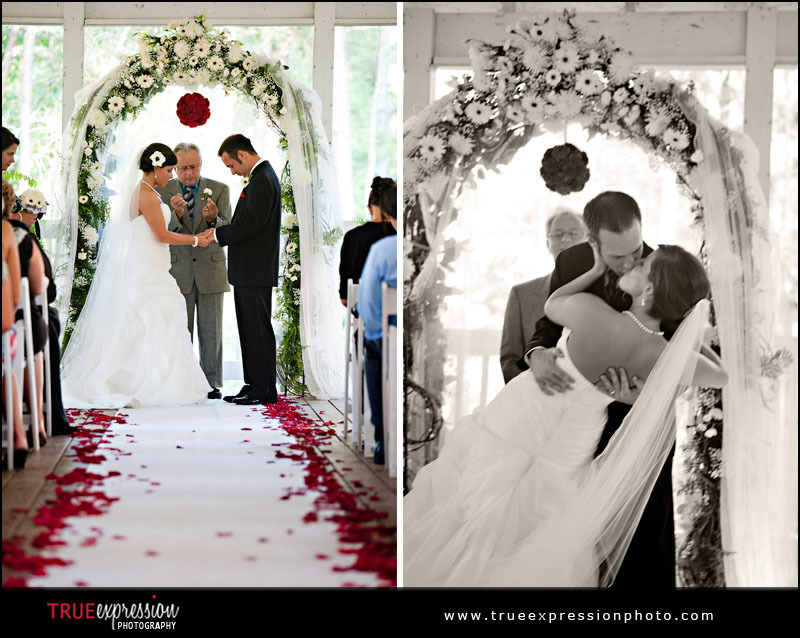 Check out the slideshow at the bottom to see their wedding story unfold! 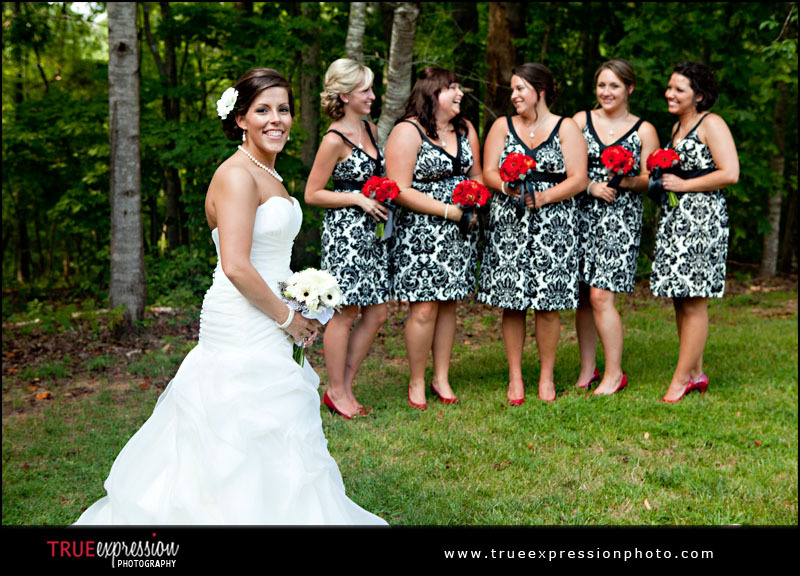 Katie and her bridesmaids had their hair done by Lisa Save of Belle Salon. 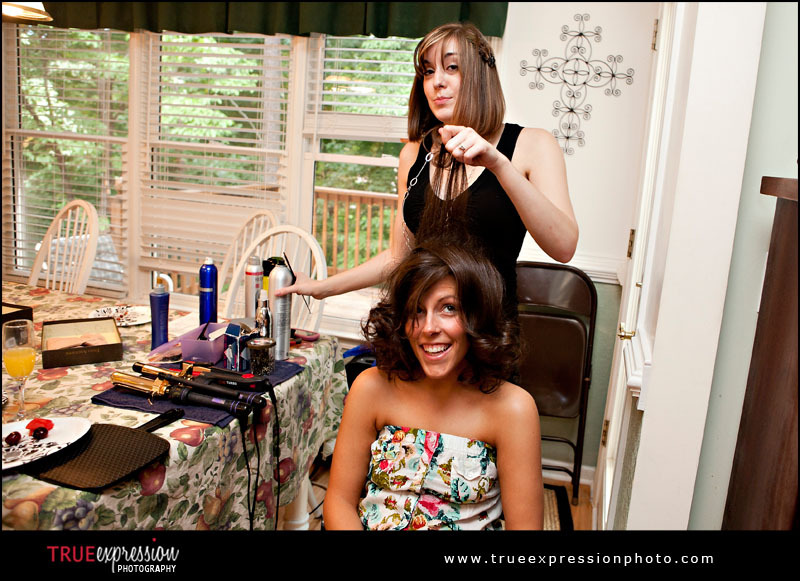 Lisa did an amazing job and everyone looked gorgeous! 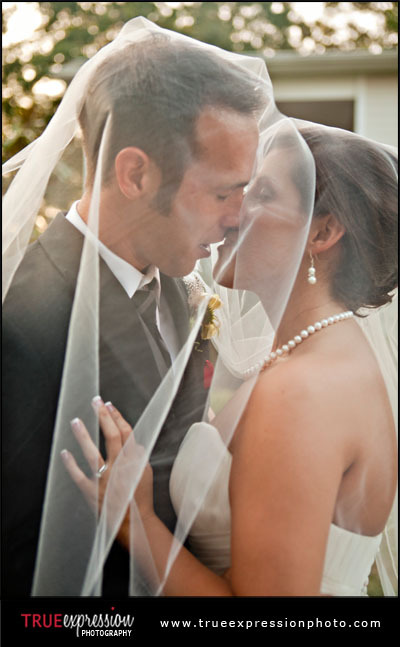 Katie and James opted to do a first look before the ceremony. 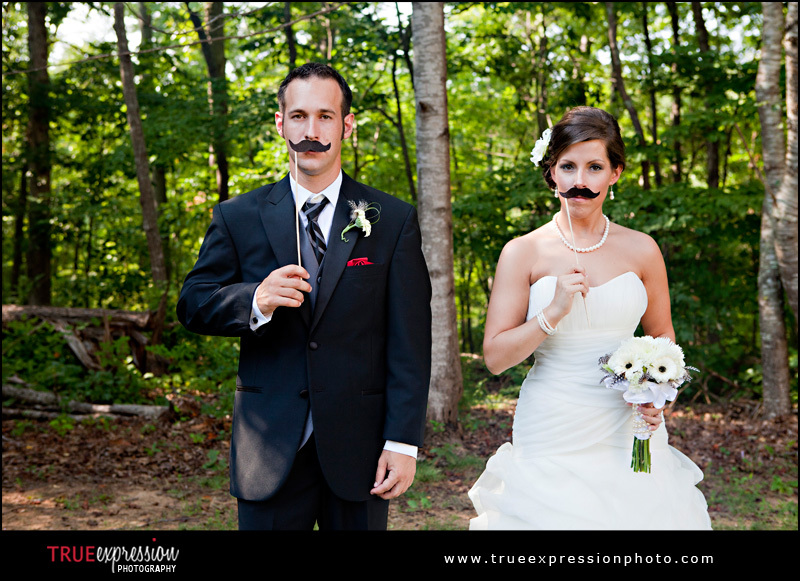 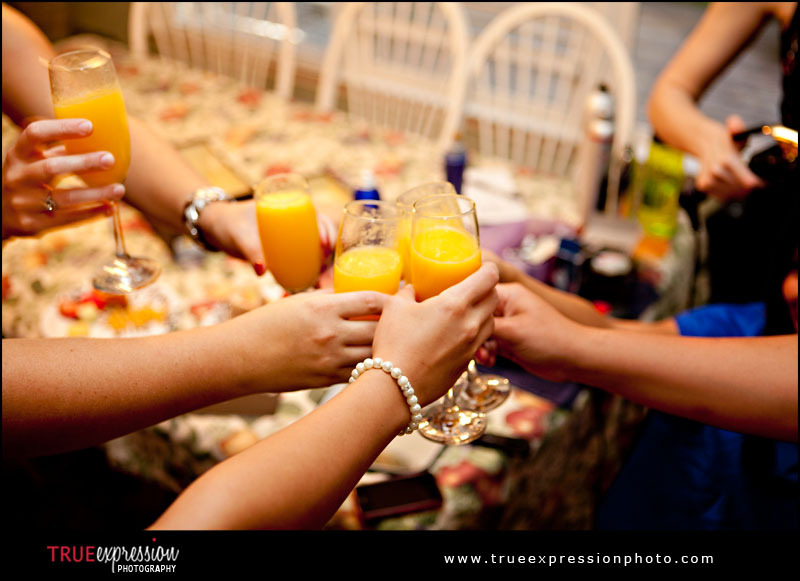 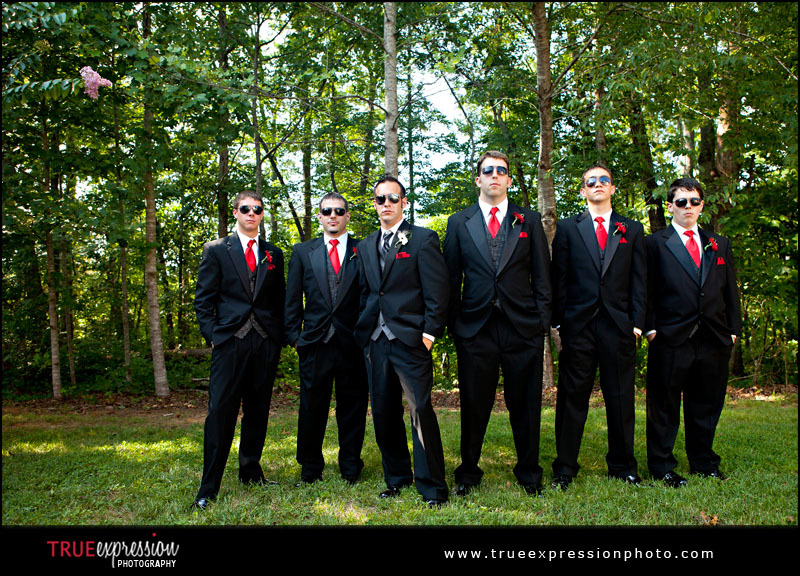 This gave us lots of time for portraits of the two of them, as well as some fun wedding party shots. 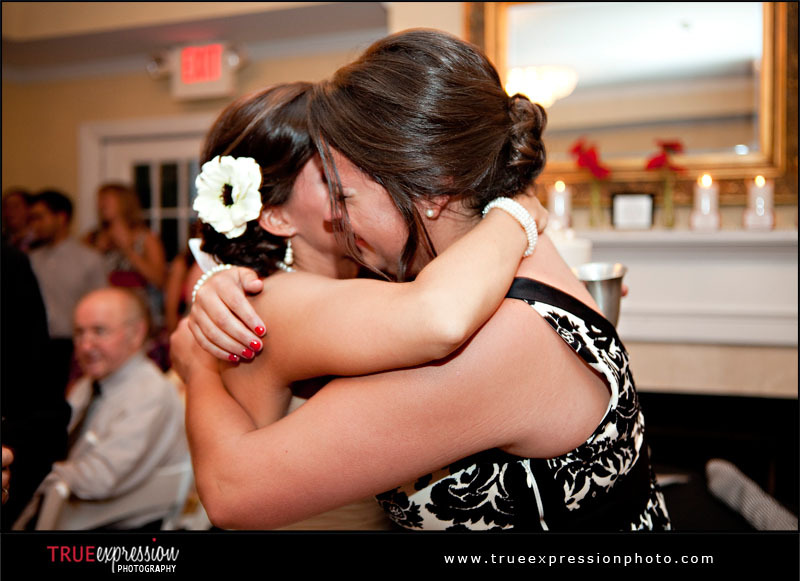 I love these shots of them seeing each other for the first time. 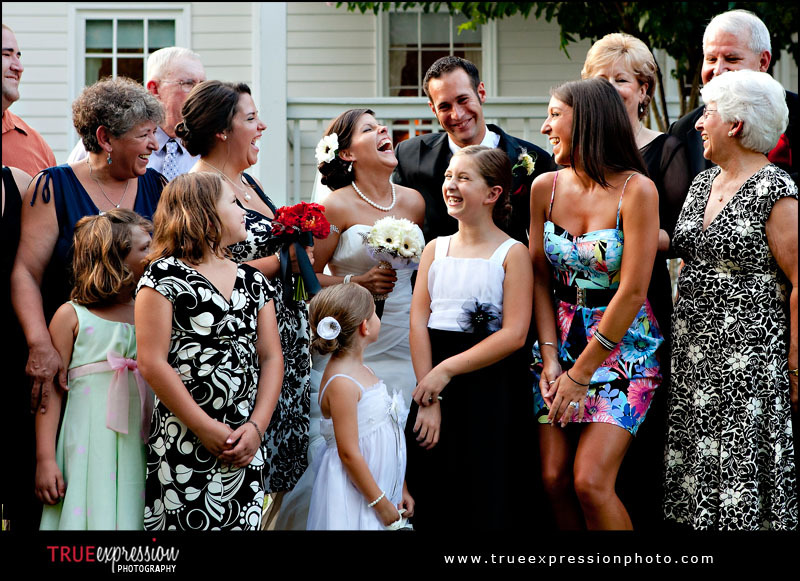 Their wedding party watched from the balcony. 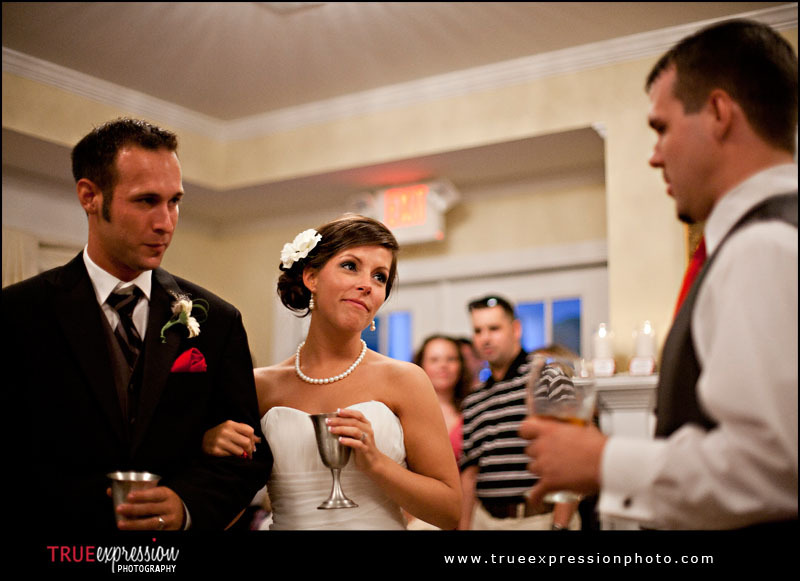 They yelled down to James to let him know when it was time to turn around and see Katie walking towards him. 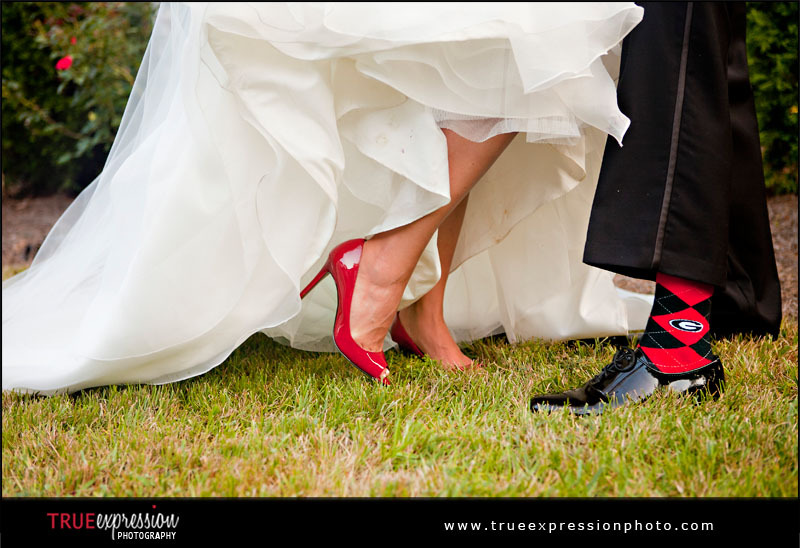 I just loved Katie's red heels! 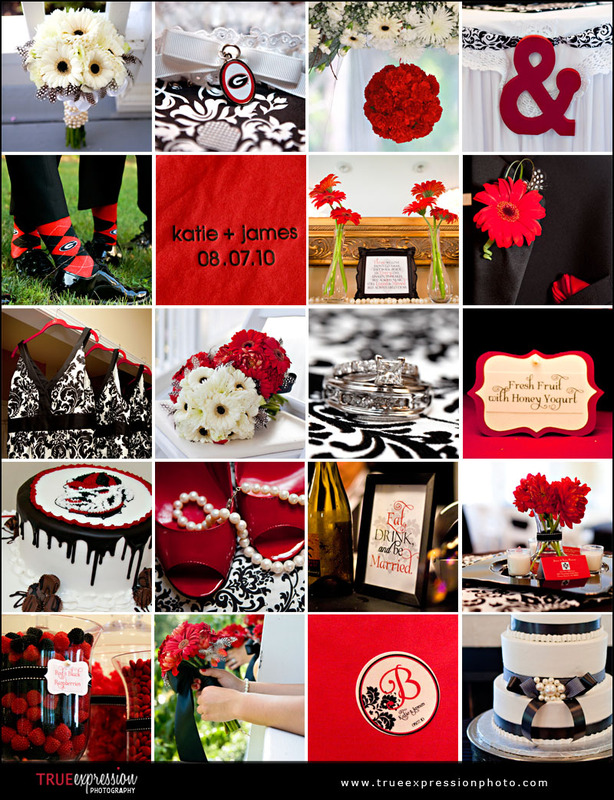 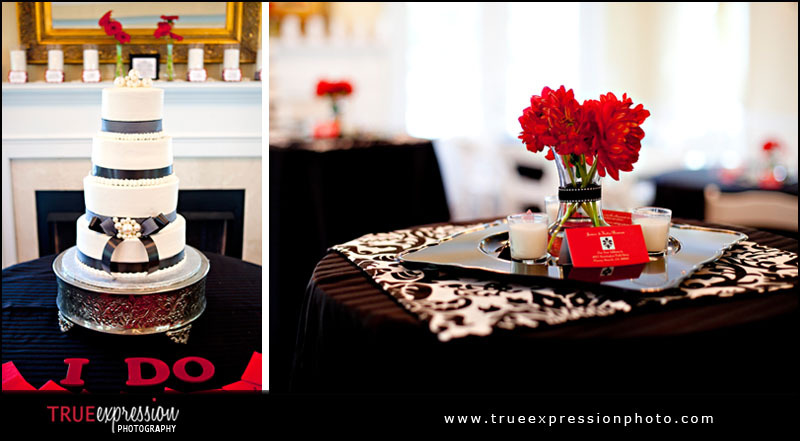 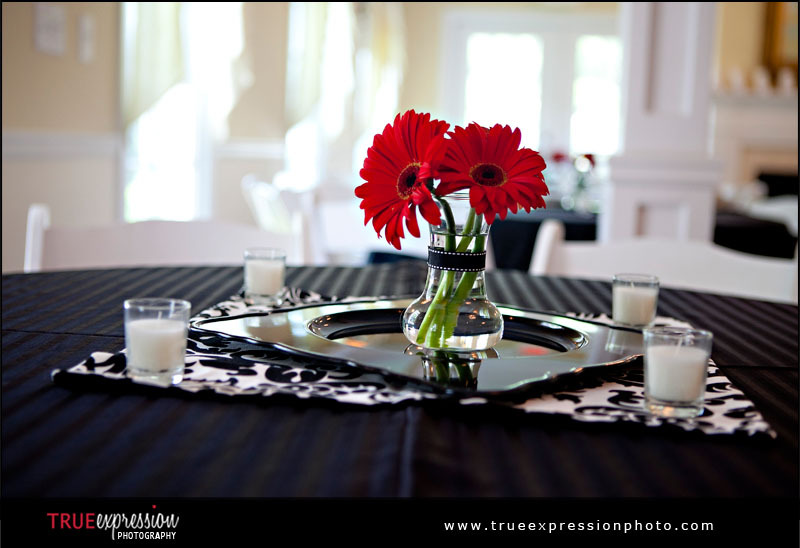 Just a few of the fabulous red, black and white details! 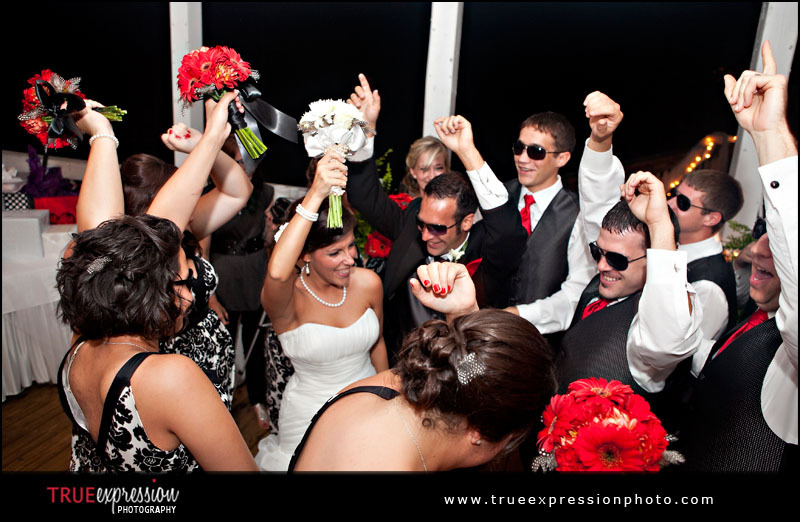 The wedding party's grand entrance to the reception! 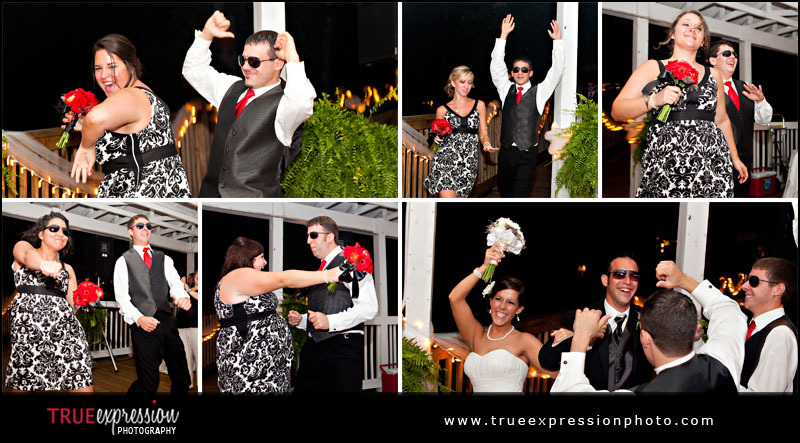 They were such a fun group!